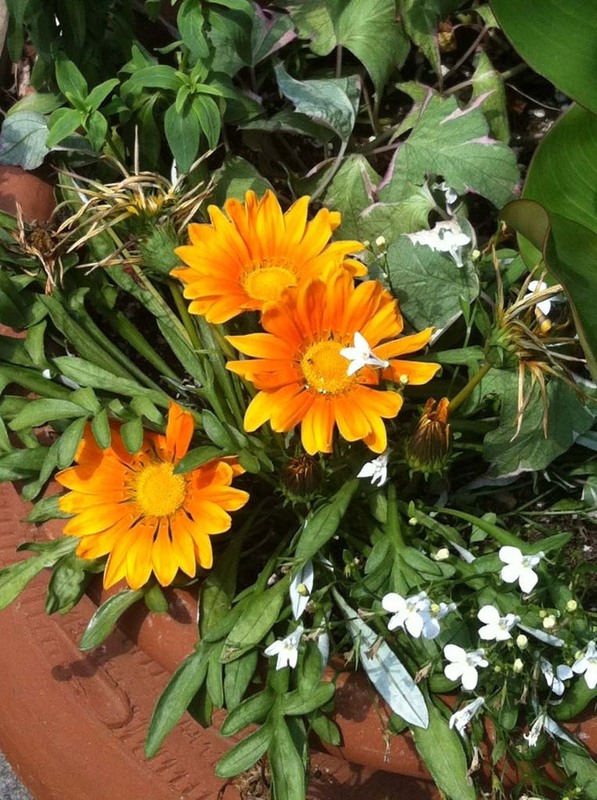 There are many flowers in bloom in mid-June in our yard. 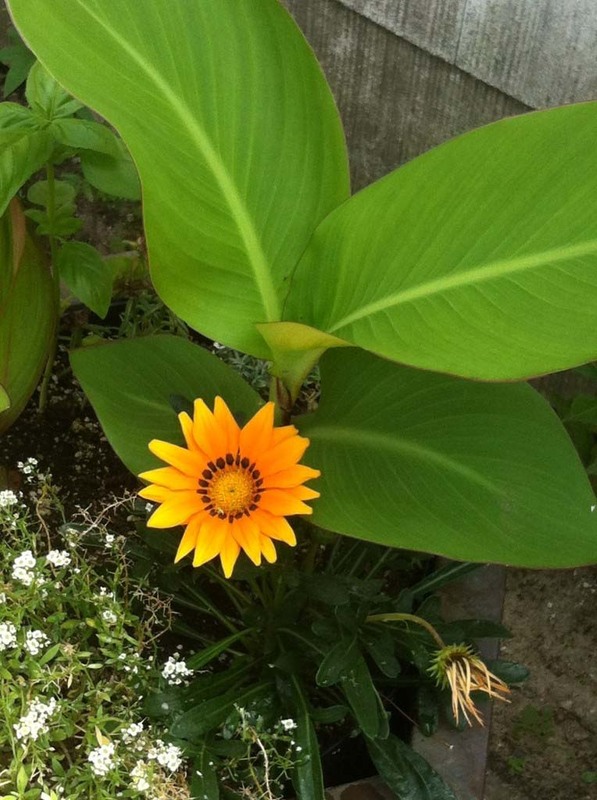 They include Angel Wing Begonia, Snake Plant, Meyer Lemon, Giant Yellow Daylilies, White Echinacea, Threadleaf Coreopsis in sunbeam and moonbeam varieties, Saint John’s Wort, Sedum blooms, Dwarf Hosta, Giant Yucca, Red Magic Daylily, Purple Balloon flowers, Fuschia Ricartonii (perennial!! 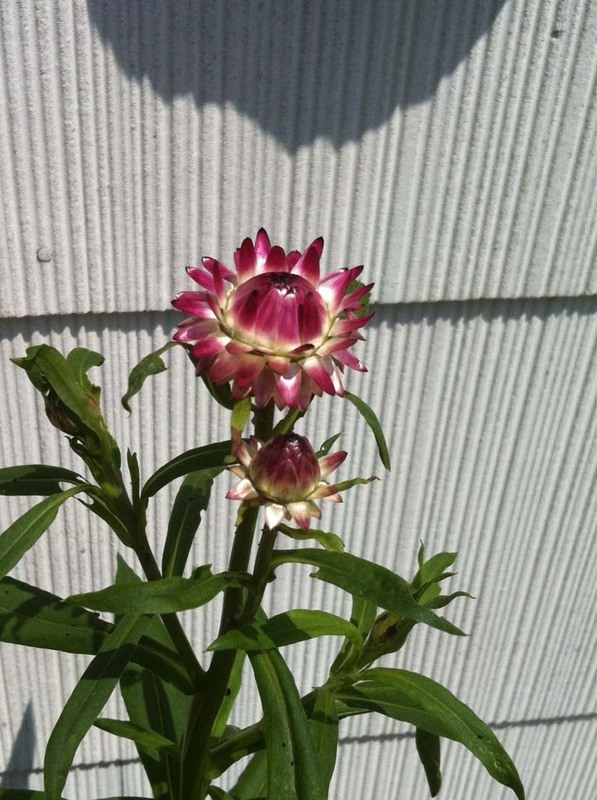 ), Hens and Chicks, Creeping Sedums, Larkspur, Strawflowers, Geranium, Cleome, Celosia, Gaillardia Razzle Dazzle, Gazanias, and Pink Petunias, Purple Passion and Lobelia in Hanging Baskets on the front porch. 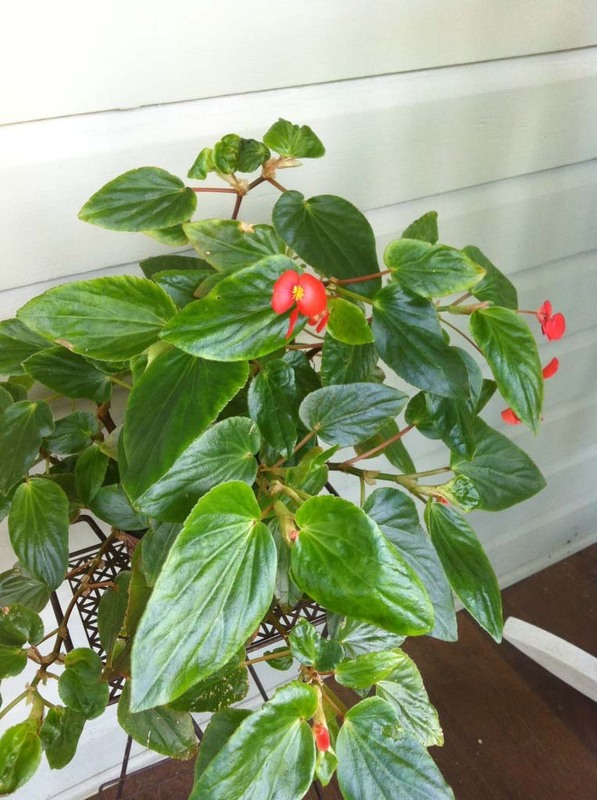 Angel Wing Begonia I think. 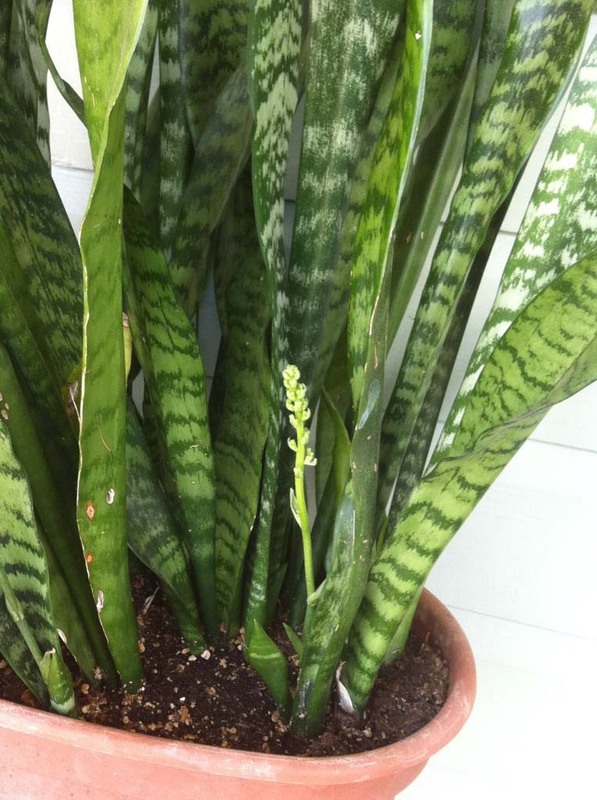 Snake plant (Sanseveria) is sending up a bloom. 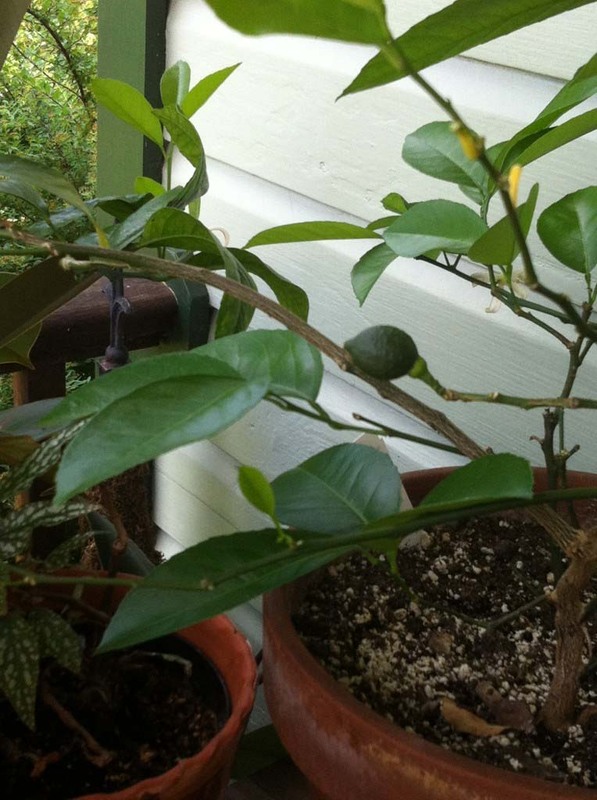 Meyer Lemon has blooms as well as a half inch long green fruit. 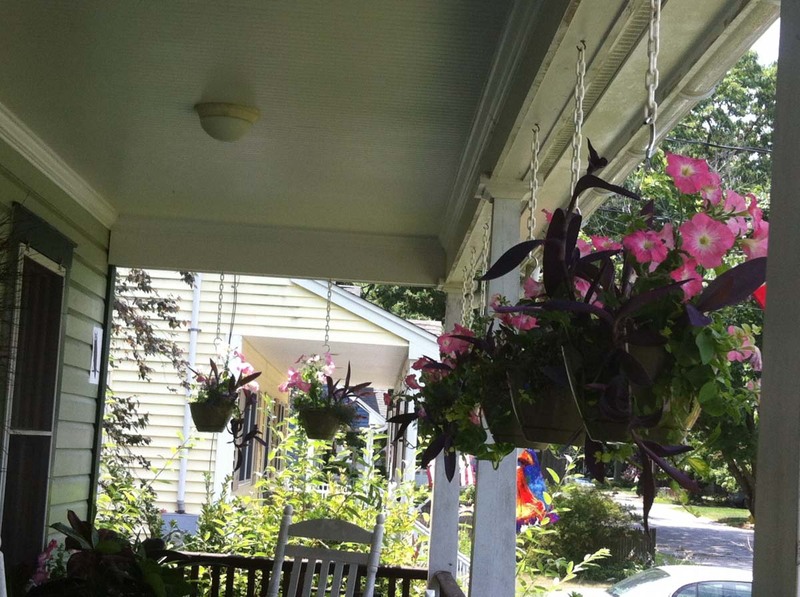 Porch hanging baskets are loaded with pink petunias, purple passion and lobelia. 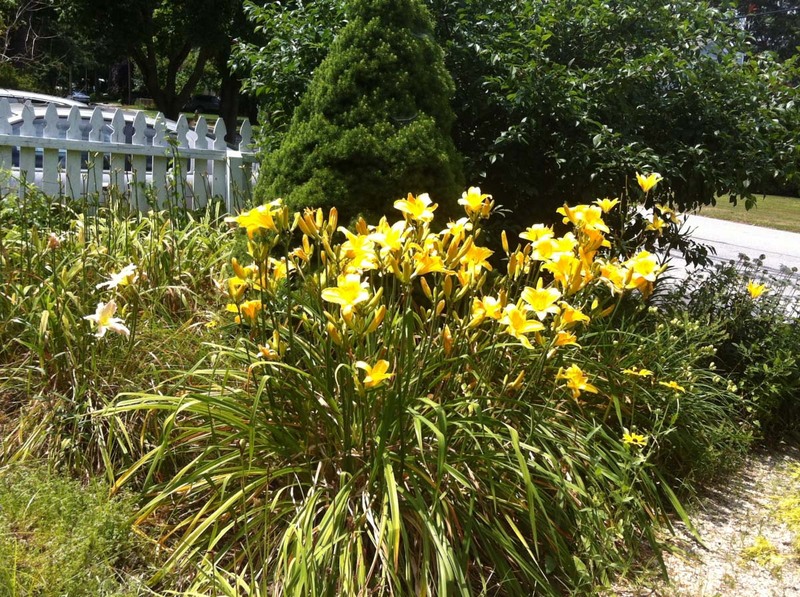 Giant yellow daylilies bloom in front of the Quince. 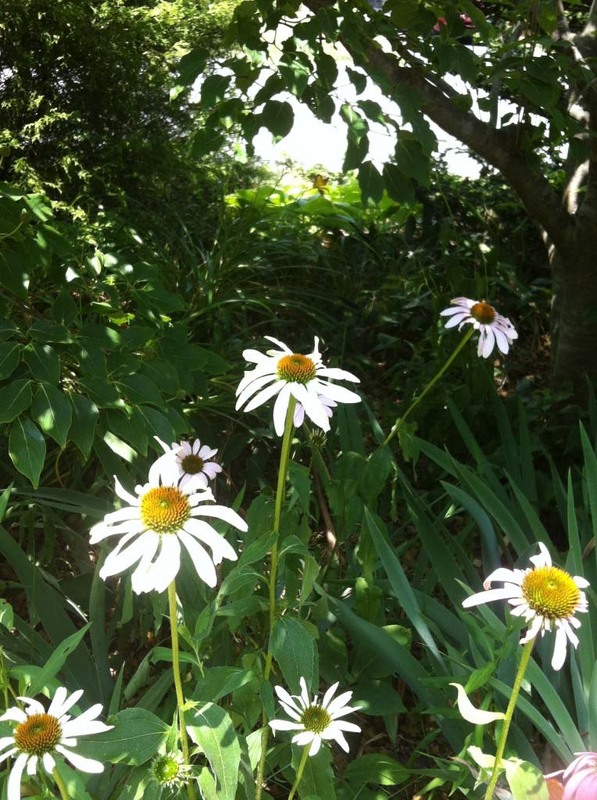 White Echinacea, are they called white purple coneflowers? 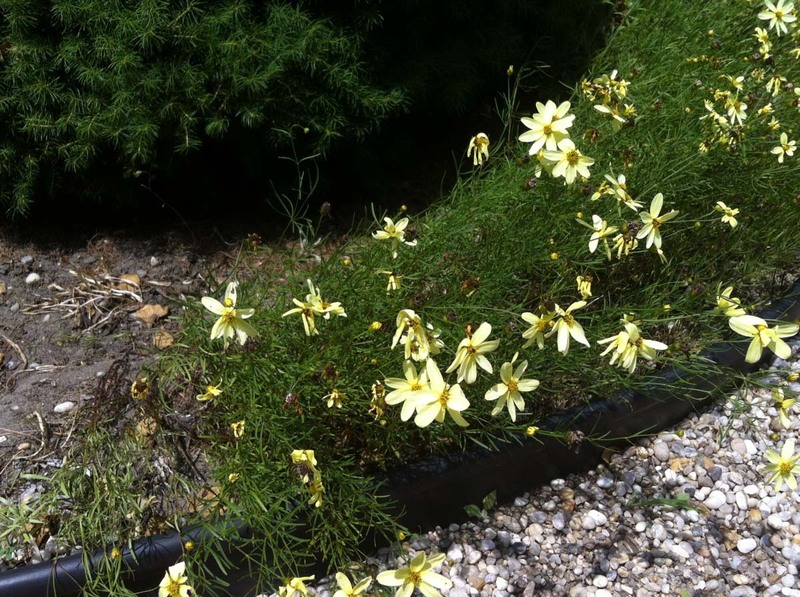 Threadleaf coreopsis "moonbeam" across from the front door. 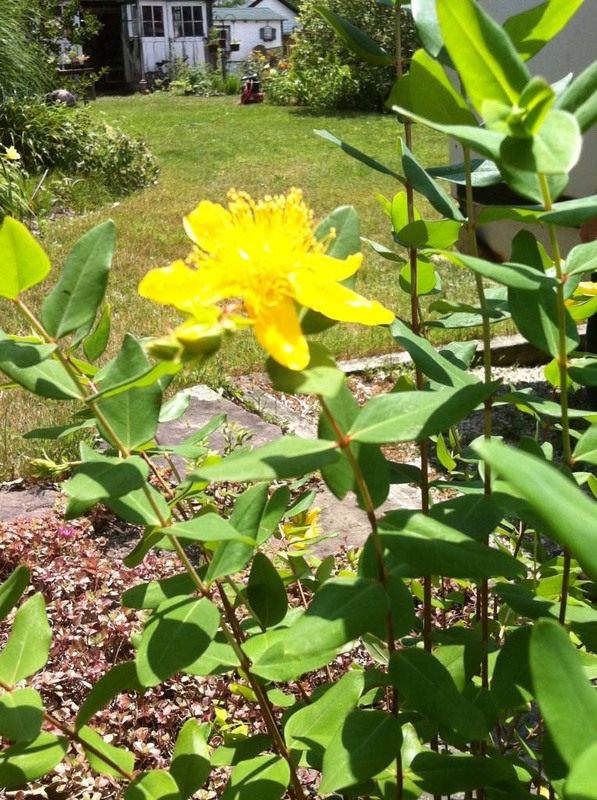 Saint John's Wort (Hypericum) in the front berm. 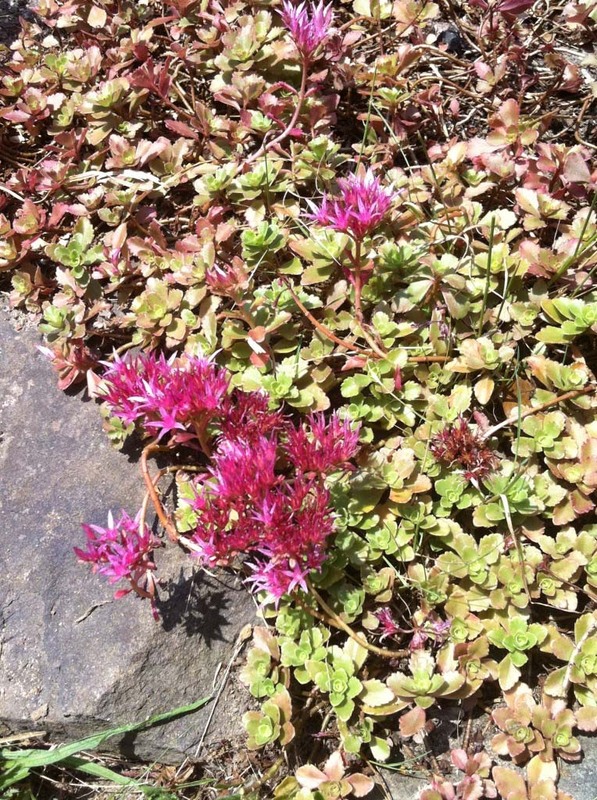 Seedum blooms pink in the front berm under the Saint John's Wort. 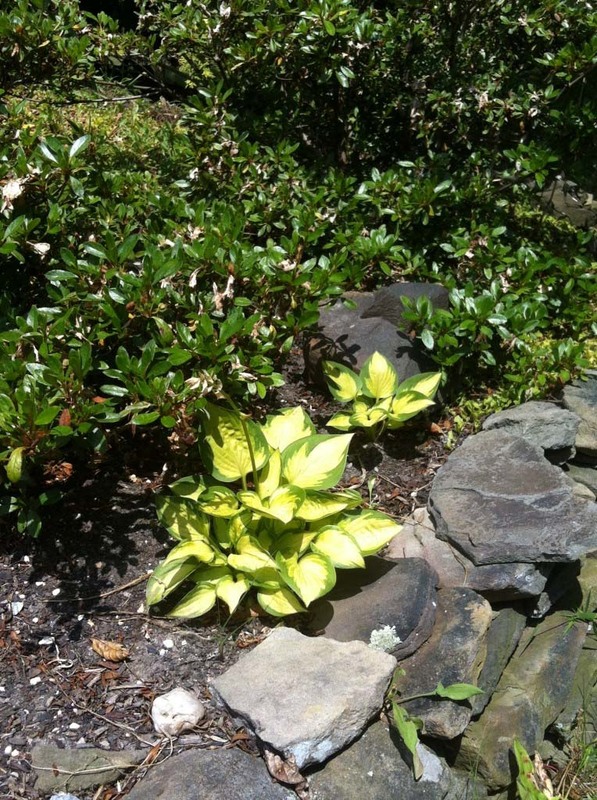 Dwarf Hosta under the front azalea. 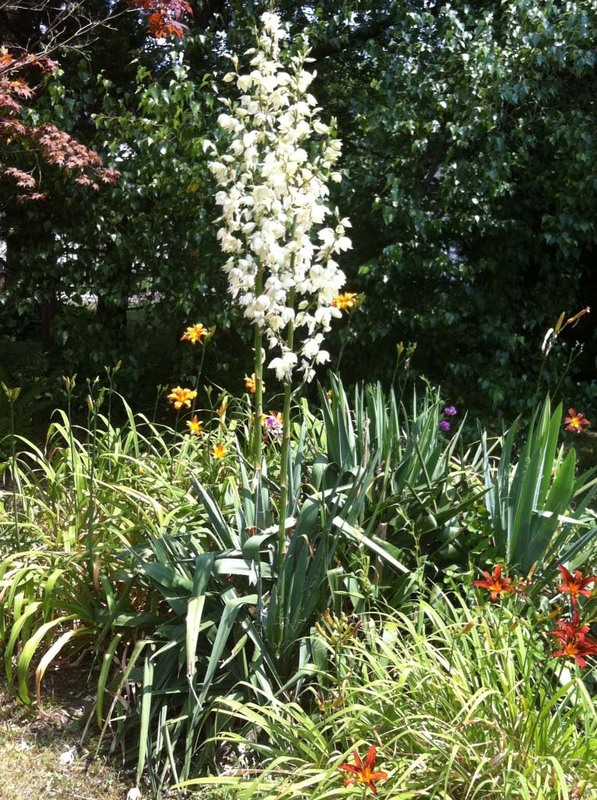 Giant Yucca flowers over six feet high in the front "grass bed". 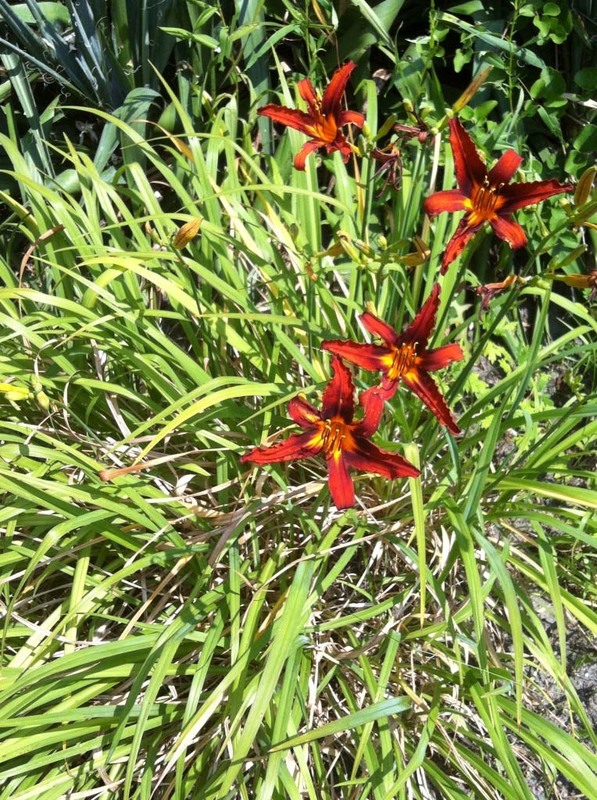 Red Magic Daylily blooms at the edge of the grass bed. 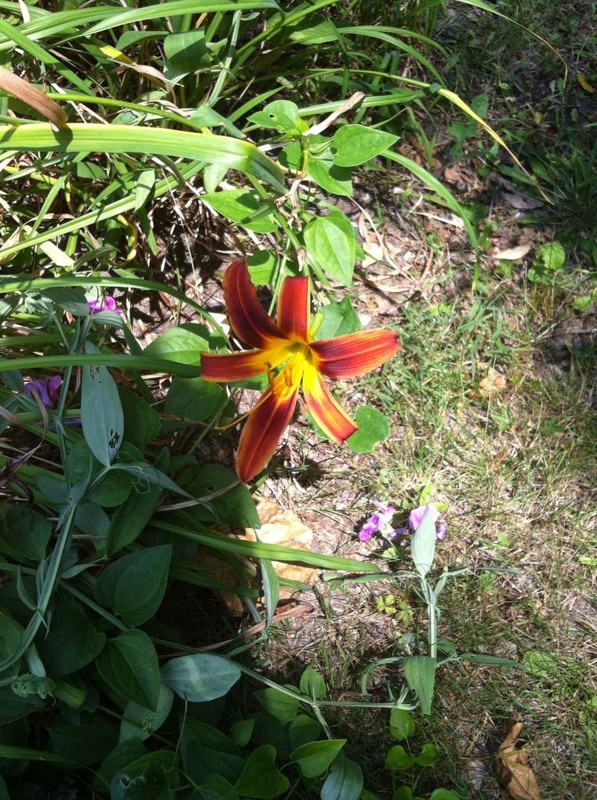 This Daylily is a sport of Red Magic and a large stand of Kwanso that came with the house. 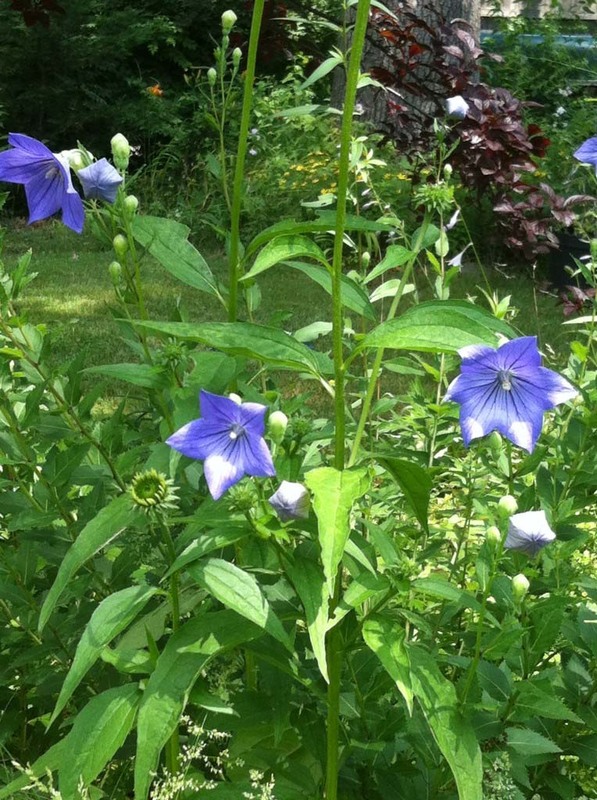 Purple balloon flowers (Platycodon) blooming in the wild flower bed. 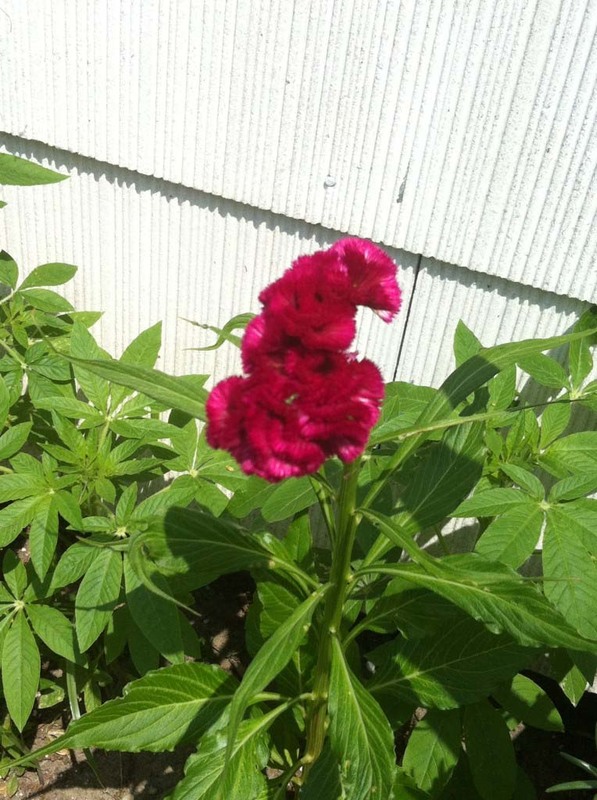 Fuschia Ricartonii blooms like crazy in the back corner of the yard. 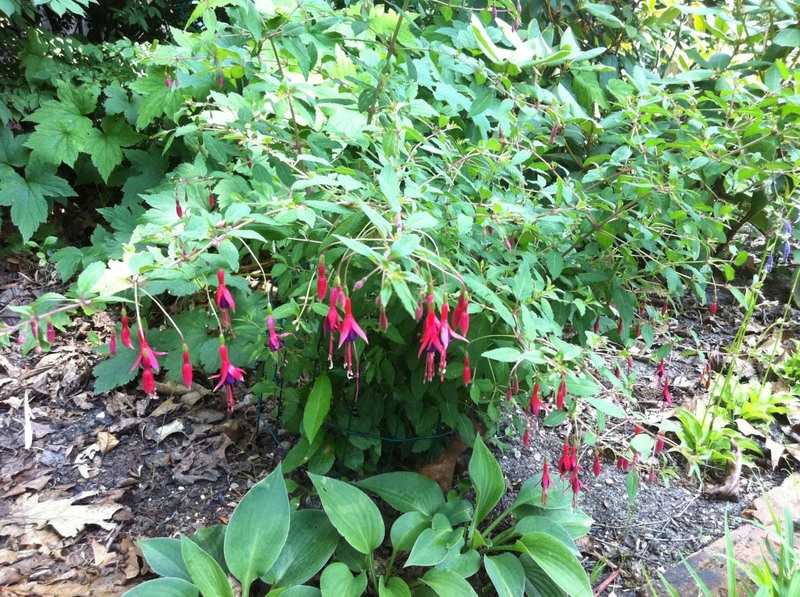 Very happy how well both Fuschias are doing. 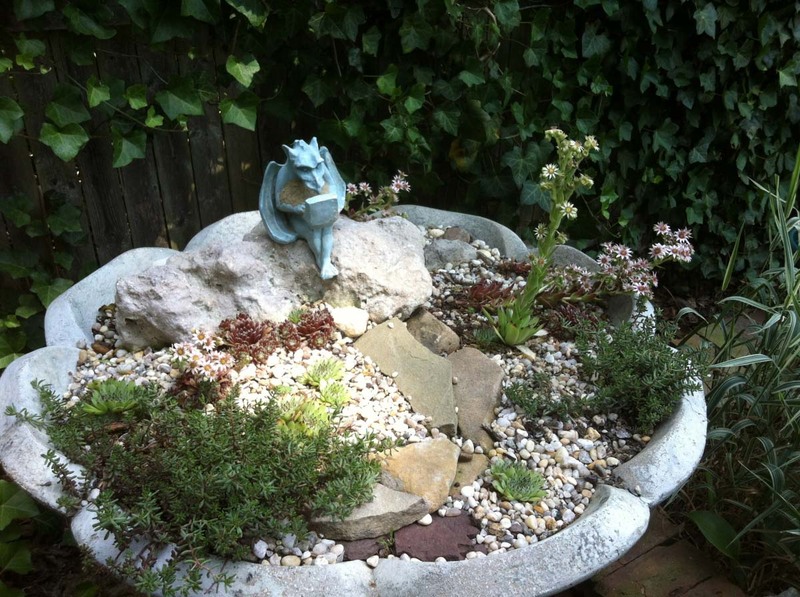 Hens and Chicks (Sempervirens) and Creeping Sedums bloom in an old fountain. 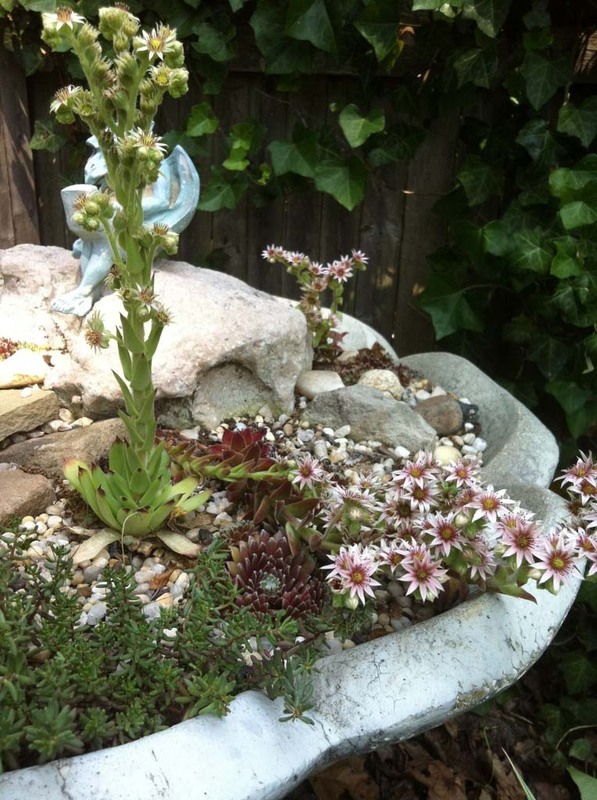 Freaky looking Hens and Chicks in bloom. 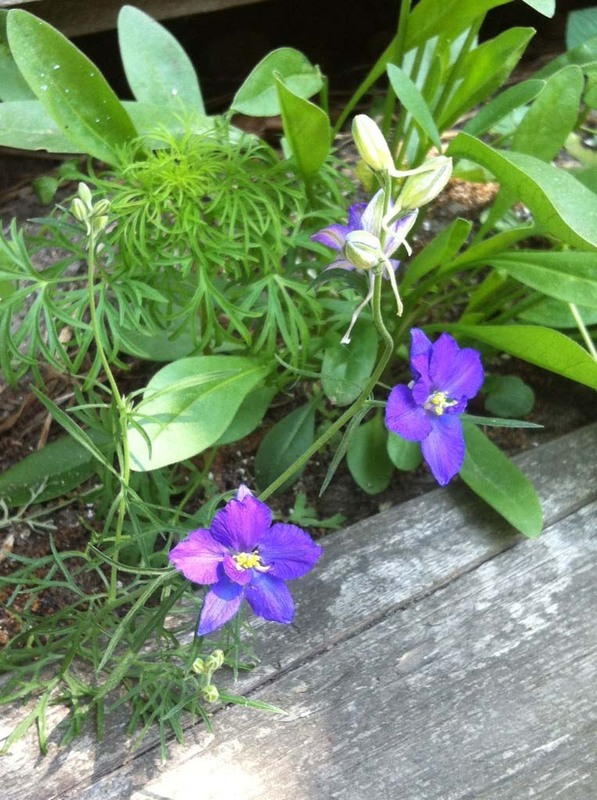 Larkspur next to the shed. 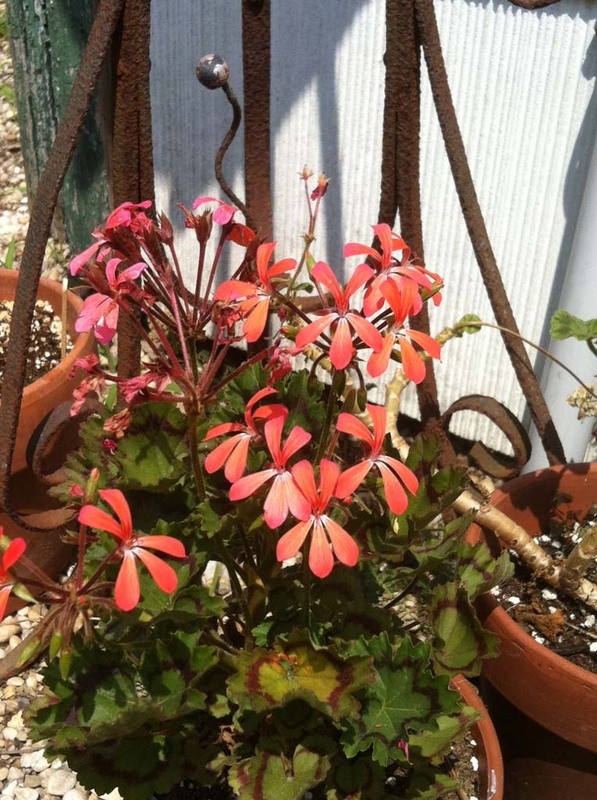 Geranium from my friend Joan Nufer blooms on the front porch. 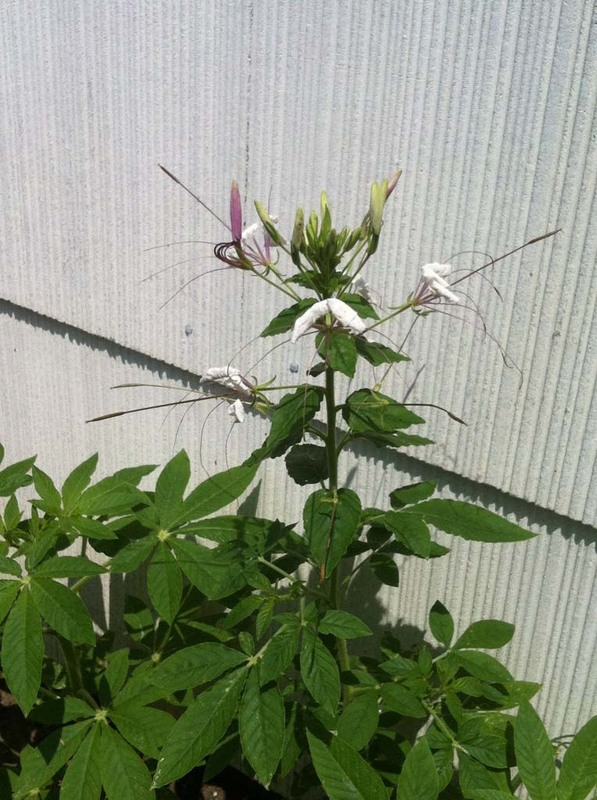 Cleome blooms near the potting shed. 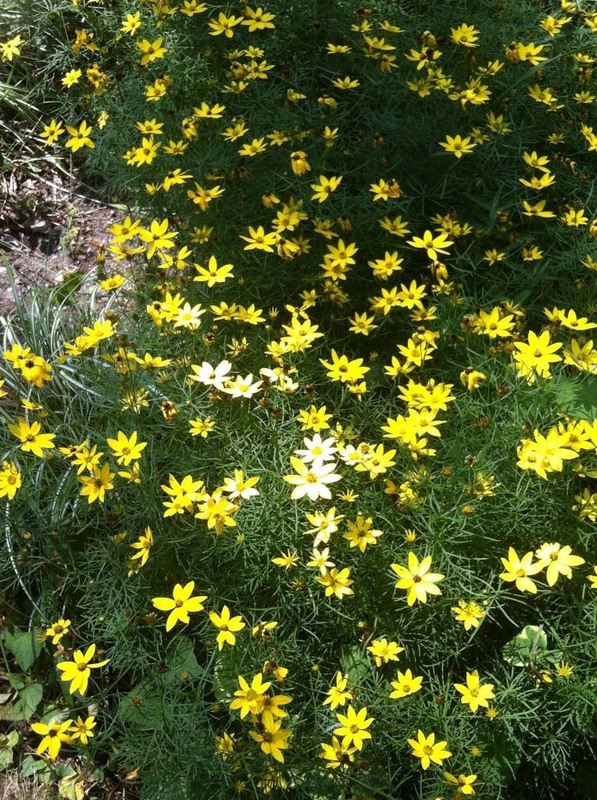 Gaillardia Razzle Dazzle from project bloom. 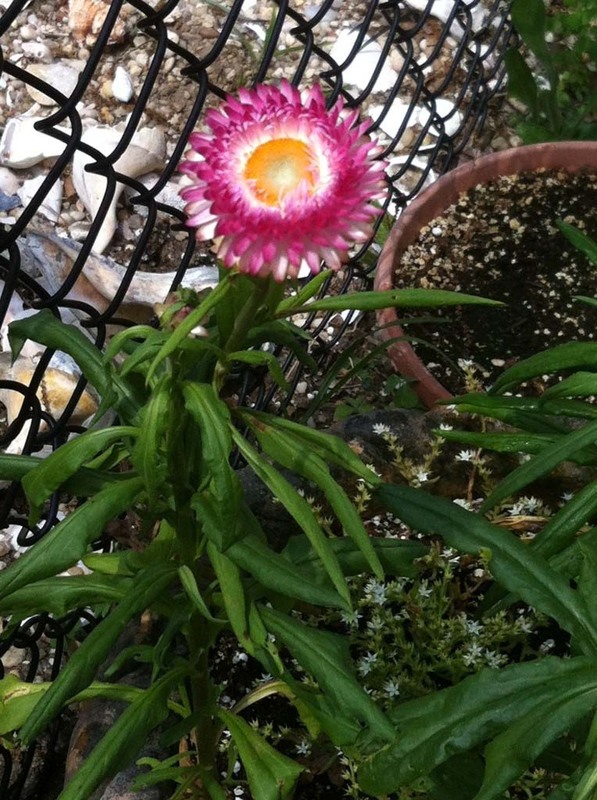 Pink strawflower in front of the seashells. 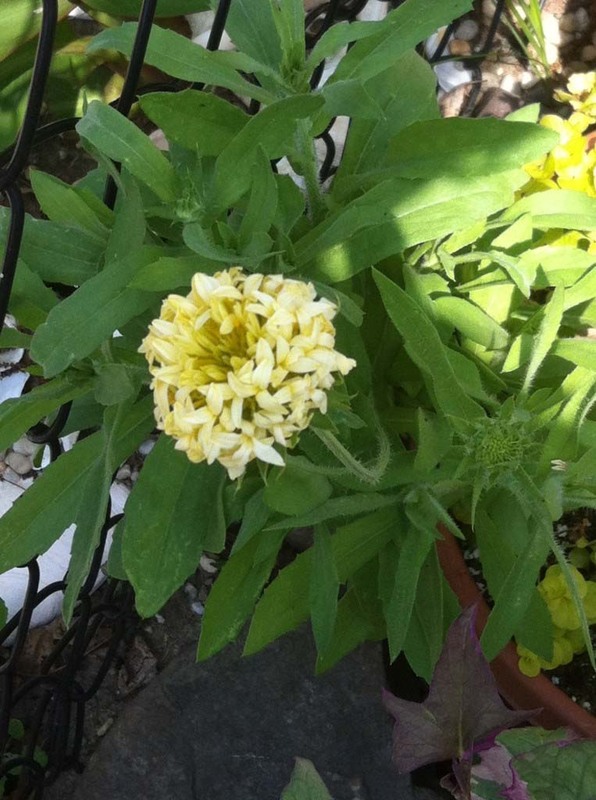 Posted in July Blooms, Our Garden, What's in Bloom and tagged Gardening, Gardens, July 12, LI, LI Gardening, Long Island, Our Garden, VanDyke, VanDyke Gardens, VD Gardens, Whats growing.